In this documentation you have access to all information about the Cielo LIO platform and good practices for the development and integration models available to complement your client’s business. The purpose of this documentation is to make the development process easier, by providing the material required to perform the integration with the Cielo LIO and all concepts about Cielo Store, the Cielo app store available on Cielo LIO. Cielo LIO is a platform that provides control and business management that goes beyond a traditional payment system. This platform supports applications developed for Android system, encouraging partner developers on creating especialized applications for several segments (restaurants, clothing, cosmetics, fuel and other) and, thus, allowing commercial establishments to chose the application that adapts better to their company business model. Both models were developed by Cielo thinking in attend to specific needs of some clients. Thermal printer: the client will be able to have the 1st and 2nd hard copies after the performed payment. Besides, the partner applications will be able to use the printer available methods to print important or necessary data for the client’s business. Roll Specification: Blue Paper 48 grams, Length: 12 meters, Maximum diameter: 30 millimeters, Width: 57 millimeters. NFC: technology that allows the payment using cards with contactless technology. 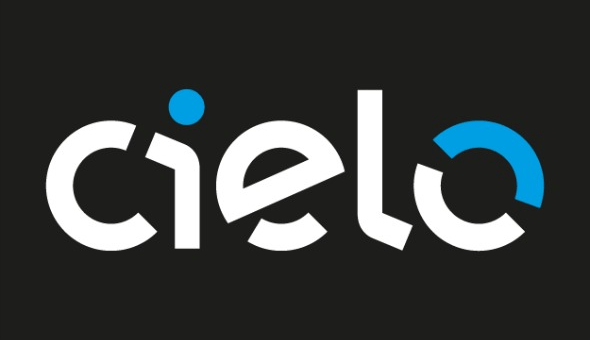 An application store (Cielo Store) for developers to publish their applications and make them available for commercial establishments (retailers). The purpose of the Local Integration from Cielo LIO is to allow that the developed application in Android is integrated to the orders and payment module from Cielo LIO through Cielo LIO Order Manager SDK. In this integration model, all commercial establishment management and solution architecture are under the responsibility of the application that will use the SDK on the payment operation. The partner’s application running on Cielo sends information to Cielo LIO Order Manager SDK. 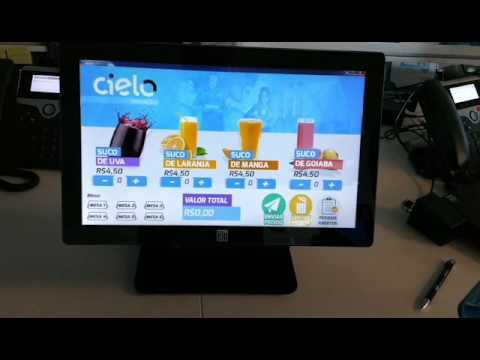 Cielo LIO Order Manager SDK runs the fluxes to payment. The partner’s application gets notifications of the payment and continues its execution. The sections below have all the informations required to perform the integration in a fast and safe way. Cielo LIO Order Manager SDK is an Android library developed based on Cielo LIO Order Manager API, encapsulating the REST communication complexity in an API thats is fluent and friendly to the developer and allowing a simple, fast and safe integration to the Cielo LIO platform. The partner application is responsible for managing all the order informations, and then, send them to Cielo LIO Order Manager SDK. Cielo LIO Order Manager SDK receives the informations and the payment flux for the costumer. In this flux, the costumer will select the payment method and enter the password on the Pinpad, having the possibility to send the payment voucher via e-mail. By the end of the payment flux, the partner application receives all information about the payment performed and goes back on running on the Cielo LIO screen. For more information and details about the development of an application for Cielo LIO, access the documentation Develop an App for LIO.. This application works like a proxy from all calls that the SDK would send LIO. 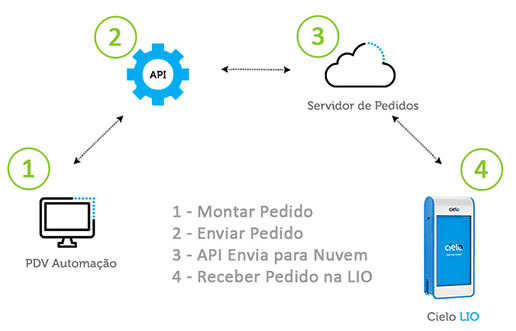 It simply treats these calls and emulates the possible types of return to the costumer’s application, allowing that the developer performs the tests on the SDK methods and perform the debug of the application during the development and the integration to Cielo LIO Order Manager SDK, without the need of having a Cielo LIO hardware. Touch the key on the side and confirm your choice to start allowing the installation of APK files downloaded by alternative sources. After configuring a new project on Android Studio, it is required to include the dependency below on the project. From the version 1.17.7-beta of the SDK, it has become required the permission of INTERNET on the costumer application. Add this permission to the AndroidManifest.xml of your application. Client-Id Its generation occurs at the moment of the creation by the developer panel. Its value can be viewed on the Client ID column, within the menu ‘Developer’ -> ‘Registered Client ID’. Access-Token Access-token identification, that stores the access rules allowed to the Client ID. Its generation occurs at the moment of the Client ID creation by the developer panel. Its value can be viewed by clicking in “details” on the ‘Access Tokens’ column, within the menu ‘Developer’ -> ‘Registered Client ID’. Below, we’ll show how to perform each of these steps. This method allows starting the OrderManager, that is responsible for the main Cielo LIO Order Manager SDK operations. The OrderManager represents the interface with the Order Manager REST API. It all starts with the OrderManager creation! With the bind() method, it is possible to link the application context to the SDK. This service is responsible for managing the functions related to the orders from LIO. //You have to ensure that your application connected to LIO from this listener. //From this moment, you can use the OrderManager functions, otherwise an exception will be launched. Attention: You have to ensure that the onServiceBound() listener was called before using the OrderManager functions, otherwise an exception will be launched, causing a crash in your application. context: object that will provide the context in which the service will be linked..
serviceBindListener: listener that notifies the connection state with the OrderManager service. With the OrderManager initialized and after the onServiceBound method execution, it becomes possible to go to the next step and create an order (Order class). Cielo LIO works with the Order (order) concept. It is required to have an order to, then, perform the payment(s). This method allows that items are added in an order. Attention: It is required to add at least an item to an order so that it is possible to continue with the payment. This method allows updating the status of an order and release it to payment. The purpose is to use this method after adding all items on the order. After the execution of this method, the Order status will change from DRAFT to ENTERED, allowing that it gets paid. This method allows starting the payment process on Cielo LIO. • onStart - When a payment is started. • onPayment - When a payment is performed. Notice that an order may be paid by more than one payment. • onCancel - When the payment is canceled. • onError - When there’s an error on the order payment. 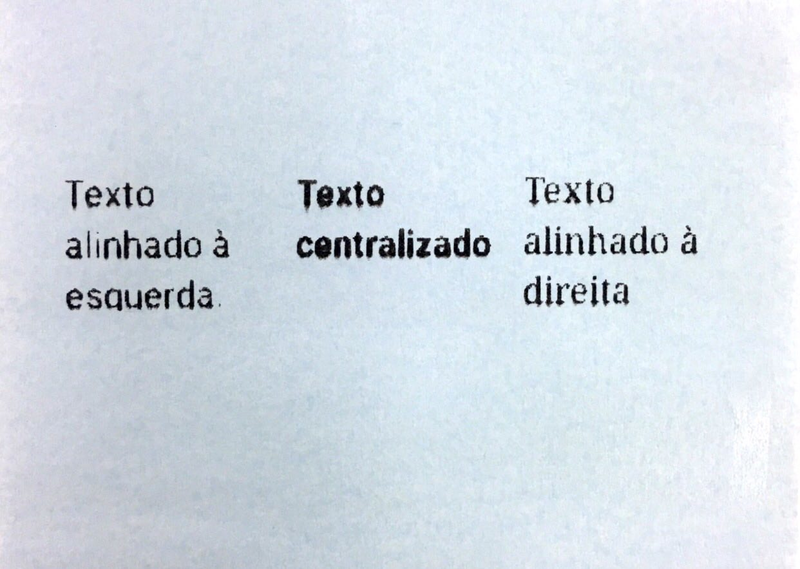 All financial values are informed without comma, that is 2500 are equivalent to R$ 25,00. On the Partial Payment, the payment amount is informed inside the Cielo LIO screen flux. In sequence, the Cielo LIO payment flux is initiated (define the amount to be paid, choose the payment way, insert the card, enter the password and view and/or send via e-mail the receipt). On the Amounts payment, the amount to be paid is informed by the application and the payment way. (credit, debit, installment) is chosen within the Cielo LIO screen flux. On the Direct Payment, the amount to be paid and the payment way (credit, debit, installment) will be set within the partner’s application. In sequence, the Cielo LIO payment flux is initiated (insert the card, enter the password and view and/or send via e-mail the receipt). This function will provide a list of objects from the PrimaryProduct type, where it will be possible to retrieve the enable payment codes. Attention: On the version 0.19.0 of the SDK, there were introducted payment codes for the main operations provided on LIO, thus making the payment calls easier. It is important to emphasize that the payment ways are configured according to the commercial establishment, and not all will be available in all terminals. In case the selected payment method is not available on the LIO, there will be an excepetion of NoSuchElementExceptiontype. CancellationListener: A callback that informs about all actions taken during the cancellation process. The following actions can be notified: • onSuccess - When a cancellation is successfully performed. • onCancel - When the user cancels the operation. • onError - When there’s an error on the order cancellation. In the method Cancel part of a value of a Payment, it is required to have saved an Order instance that contains the Order informations. This Order can be retrieved on the payment callback success or using the Order (Orders) Listing method. The parameters from the previous method, with the inclusion of a parameter that is the amount to be canceled. In this scenario you must be careful not to pass a value greater than the payment, otherwise the system will return an error. The ResultOrders object has a list with all orders opened signed with the application credentials..
After performing all the payment operations and in case it is not required using the OrderManager object, use the unbind method to unlink the context and avoid integrity problems. All informations referring to the terminal, that were exposed, are available on the InfoManager. The battery value will be returned in a Float containing the value from 0 to 1 in case of success and -1 in case of error. It will return an enum of DeviceModel type with the correspondent model (LIO_V1 or LIO_V2). This function will return an object of Settings type, where it is possible to retrieve the user informations. Below, there’s a descriptive of attributes from the Settings object. The new version of the LIO V2 allows that partner applications use the methods available on the printer to print important data or necessary to the client’s business. To perform these operations, just use one of the methods listed below, that allows the printing of a single line, a sequence of lines or images. PrinterListener: A callback that informs about all actions taken during the printing process. The following actions can be notified: • onSuccess - When a printing is performed successfully. • onError - When there’s an error on the printing. • onWithoutPaper - When there’s not enough paper to perform the printing. Attention: to change applcation view you should run your callback code inside a runOnUiThread block. PrinterAttributes.KEY_TYPEFACE Text font Works with an integer from 0 to 8, where each one is a different font. To print simple texts, use the printText() method from the PrinterManager. The method receives as parameter the text to be printed, a printing style map and a listener to treat the printing return. o print texts in multiple columns, use the printMultipleColumnText() method of the PrinterManager. The method receives as parameter an array of texts to be printed, an array with printing styles maps, respectively and a listener to treat the printing return. To print images, use the printImage() method of the PrinterManager. The method receives as parameter the bitmap to be printed, a printing styles map and a listener to treat the printing return. Read all documentation about the Local Integration. Create your account on the Developers Portal from Cielo to get all functionalities that the portal can provide you, developer. It is mandatory to have an account to generate a Client-Id.. Performing a Client ID register, the developer gets the tokens. Access Cielo Store and upload your application’s APK. When finishing the upload, submit your app to certification and fill all required information. When finishing the upload, submit your app, on the very Cielo Store environment, for certification and fill all required informations. As soon as the certification is completed, the developer will get an e-mail and will have to access the Cielo Store again to promote the app for production..
Now you application is already available for download on Cielo Store. Success! Make the most of everything that the Local Integration from Cielo LIO can provide you! On the table below, it is possible to verify the SDK available functionalities by version from Cielo LIO and Cielo Mobile.. Attention: If a functionality that not available is used, it will be launched an exception – UnsupportedOperationExcepetion –, that must be treated by the application. To find out the Cielo LIO (launcher version) app version and Cielo Mobile, as well as use all functionalities from Cielo LIO Order Manager SDK, access “About Cielo LIO” (Help - > About Cielo LIO) to get the informations about the apps installed on Cielo LIO.. The code sample of the application integrated to the Cielo LIO Order Manager SDK can be found on GitHub. On the video below, it is possible to check an example of an application integrated to the Cielo LIO Order Manager SDK, using the amount payment feature of the SDK. On the LIO V1 case, it is possible to connect Cielo with bluetooth printers to perform the printing of receipts and other important information. There are partners that are already using Bluetooth printers from the brands Zebra, Datex, Leopardo integrated to Cielo LIO. All communication protocols and pairing are under the partner’s application responsability. There are partners already using RFID readers in their solutions.. The rotations on the displayed screen have different behavior between the Cielo LIO versions. On LIO V1 the screen orientation is locked. On LIO V2 it is possible to control the screen orientation. By standard, the displayed screen orientation is free and set according to the equipment accelerometer. In case the developer wants to control and use in a customized way the Cielo LIO screen orientation, he’ll have to use it according to the Android documentation..
Access the item: android:screenOrientation for more information. Cielo LIO already comes configured with a SIM Card. The SIM Card carrier is set according to the commercial establishment registered address. Cielo sends the SIM Card of the best carrier according to the registered address of the LIO requested. This SIM Card allows the connection with the 3G technology of Cielo LIO and has an unlimited data package. The purpose of the Cielo LIO Remote Integration is to allow that the retailer continues on using his cashier front solution (Commercial Automation or PDV) and integrates it to the Cielo LIO payments and orders module through an API built on RESTful standard. Thus, all commercial establishment management will be under the Commercial Automation responsibility and, at the moment of performing the payment, Cielo LIO is used. REST features, in a way that it is possible to access through the standard HTTP semantic. HTTP status codes to communicate the success/error on the calls. All requisitions and answers are in JSON format. The sections below have all information required to perform the integration in a fast and safe way. On the video below it is possible to see a sample of Commercial Automation integrated to the Order Manager API from Cielo LIO. Click on the image above to access the video. The sample code of the Commercial Automation integrated to the Order Manager API from Cielo LIO is available on GitHub. In this documentation, the developer finds all information about Endpoints, Entities and Features available on the API. You’ll be able to query all input data, acquisition examples and output data. As well as understand the basic usage flux of the Cielo Lio’s Order Manager API. All calls must be executed using the respective credentials from the Sanbox environment and production. Sandbox environment is destined to tests with Cielo partners. This environment uses integration simulators. Thus, the operations are not executed in productive environment. To use the Sandbox environment, it is not required that you provide the establishment number. You will be able to start the tests without the need of having a Cielo LIO. To get the sandbox tokens, create an account on the portal and create the Client-Id. The production environment is the transactional environment integrated to the Cielo environment. The operations performed in this environment cannot be undone. To use the production environment, it is required that you contact through the form. Along with personal data, provide the establishment number. To use the production environment, it is required that you have a Cielo LIO. Have you already done the sandbox tests and wish to request the tokens? Click on Request Tokens or access the “Developer” menu on the Developers Portal and choose the option “Request tokens”. Client-Id: Access ID. Its generation occurs at the moment of the creation by the developer panel. Its value can be viewed on the “Client ID” column, within the menu “Developer” -> “Registered Client ID”. Access-Token: Access token ID, that stores the access rules allowed to the Client ID. Its generation occurs at the moment of the Client ID generation by the developer panel. Its value can be viewd by clicking on “details” on the “Access Tokens” column, within the menu “Developer” -> “Registered Client ID”. Merchant-Id: Token that identifies the commercial establishment inside the Order Manager server from Cielo LIO. Its generation occurs during the Client ID registering process. Its value can be viewd on the “Merchant ID” column, withing the menu “Developer” -> “Registered Client ID”. 200 OK Operation performed successfully. 201 Created The request was performed, resulting on the creation of a new feature. 204 Empty Operation performed successfully, but no answer was returned. 400 Bad Request The requisition has invalid parameter(s). 401 Unauthorized The access token was not informed or does not have access to the APIs. 403 Forbidden The access to the feature was denied. 404 Not Found The feature informed on request was not found. 413 Request is too Large The requisition is surpassing the allowed limit to the profile of your access token. 422 Unprocessable Entity The requisition has mandatory parameters non informed. 429 Too Many Requests The costumer broke the requisitions limit per time. The Order is a representation of an order for sale of one or more products and/or services. It is essential that there’s an Order so that a payment is performed on Cielo LIO. The Order Item is a representation of the items present in an Order. It is mandatory the existence of, at least. one Item for one Order. 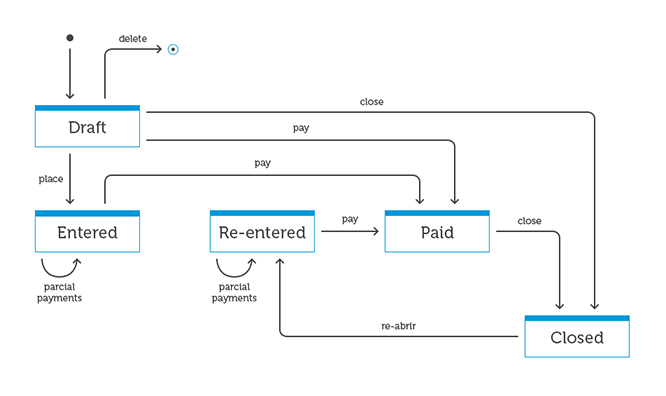 Transaction is a representation with all payments performed in an Order. The purpose is to use it to query the payments (transactions) that were made in an Order. Card is a representation of the card that was used to perform the payment/transaction. Payment Product is a representation of the payment method used to perform the payment. Example: Credit, Debit, etc. This feature performs the creation of an order on the Order Manager server. This feature is used to get informations about an specific product. The order id is used to perform the call. This feature is used to get the list and the information of all orders registered on the Order Manager. Thia feature performs the status change of a created order. The order id is used to perform the call. The return 200 of this operation represents success on the requisition. This feature is used to delete an order from the Order Manager server. The order id is used to perform the call. Only orders with DRAFT status can be deleted. This feature is used to add one or more items in an already created order. The order id is used to perform the call. Only the orders with DRAFT status can be deleted. This feature is used to query the items present in an order. The order id is used to perform the call. This feature allows to change information from an order’s item. The order id and the id_item are used to perform the call. Only orders with DRAFT status can be changed. This feature is used to delete an item present in an order. The order id and the id_item are used to perform the call. Only orders with DRAFT status can have items changed. This feature allows that the developer simulates the financial transactions, manually adding them, being possible to understand the working in an Order. In Sandbox environment, where there’s no need of having a Cielo LIO, and consequently is not required to have an establishment number, it does make sense to perform this call of this feature..
As for the Production environment, Cielo LIO itself will be responsible for creating the transactions, as the payments are effected. This feature is used to get the informations of all transactions performed in an order. The order id is used to perform the call. In production environment, once the payment is performed on Cielo LIO, the transactions will be automatically added on the order and then, it will be possible to get the informations about the payment performed from the call of this feature. The order cancellation is performed only through Cielo LIO. Select the Sales Cancellation feature and enter the company’s CNPJ (the same that can be visualized through the payment receipt), The system will require a password to perform the operation, that can be obtained through the opening of ticket on the Developers Portal Support. Follow all steps indicated on the following screens to perform the sales cancelling. It is important to emphasize that a cancellation can only be performed in its integral value. . This feature is used to get the informations of all transactions canceled in an order. The order id is used to perform the call. In production environment, once the cancellation is performed on Cielo Lio the transactions will be automatically added on the order along with the original payment transaction. The biggest reason for the Order Manager’s RESTful API availability is to allow partner applications to integrate to Cielo’s cloud platform. However, once partner applications submit orders, they must be paid locally at Cielo LIO. Therefore, partner applications need a way to receive status changes notifications and from transactions performed in the Order. For such, it is required that the partner makes available a RESTful Backend, that will get the notifications following the format below. Once the informations are received, the Backend has the liberty to be used on the most appropriate way to the business model. In each status notification in an order, the Order Manager server sends, via command, the informations to the partner’s Backend. In each transaction/payment performed in an order, the Order Manager server sends, via command, the information to the partner’s Backend. The guide below provides information necessary to help developers to integrate or develop their applications on Cielo Lio platform the best way possible, in a way to provide an excellent experience to the commercial establishments. It is recommended the detailed reading of the Cielo LIO documentation present on the Developers Portal. This documentation gathers important information for moderate simplicity questions. Protect sensitive data from customers and employees. Do not expose names, addresses, or phone numbers publicly. Never expose authentication tokens or passwords of any kind. The partner must provide his support data so that the commercial establishments (retailers) contact in case of problems and/or questions. The Commercial Automation solicitations or PDV must be scaled to the max in order to avoid high traffic bursts. “Cache” your own data when you need to store specialized values or quickly revise large data sets. Do not create multi-thread with POST layers, this behavior can create systemics delays due to deadlocks. Minimize data usage. The commercial establishments (retailers) may be using a connection with limited mobile data. Your application has to be in conformity with the Android and Java programming conventional practices according to the guidelines for Android developers. Object Oriented Design principles (S.O.L.I.D.). Understand the difference between compileSdkVersion, targetSdkVersion, and minSdkVersion. Enjoy the Android native buttons, like the “Back” and “Home” buttons. The application has to attend the Cielo commercial establishments (retailers) needs. Your application has to have a good end-to-end experience, assuring the correct communication between all fluxes, specially the Cielo LIO payment returns. The applications’ icons must be mimap features. The icons must be in conformity to the Android standard dimensioning (you can use third party icon generators to resize your logo): 192 × 192 (xxxhdpi). We recommend that the developers integrate some kind of fail report utility in their Android products. It will help you on maintaining the operational awareness of your product. Developers can collect metrics about the use of your application. It will help them on building better products and rising the awareness about any impacting questions.. Ensure that the application works optimally, avoiding that crash and delay occurs on the answer for application processing. The design must emphasize clarity and accessibility - high contrast, readable fonts, large text and inputs. Make the application’s acceptance terms clear and provide the necessary support to the user regarding the service provided. If you are adapting a developed application for another platform, check if it only includes features and buttons relevant to the Cielo LIO user. If your application includes a component designed to the customer, your project will reflect on the business using your application. These interfaces have to be pleasant and professional. It is recommended the use of the Material Design for development of the applications for Cielo LIO. This recommendation has the purpose of facilitating the use of good design practices for development of mobile applications. Your application will be used in working conditions of fast and dynamic pace. Strive to get clear work fluxes, easy to use and robust, with as few steps as possible. With Cielo LIO it is possible that companies and partners have your application running on Cielo platform. These applications may or not be integrated to the payment, it all will depend on the company or partner purposes. Below, you’ll find all necessary information to develop an application for Cielo LIO. It is required that you use an IDE (Integrated Development Environment) to develop your application. Cielo recommends that an IDE from Android Studio (version 2.2.2 or above) is used, seeking to assure the application operation on Cielo LIO platform. Cielo LIO accepts applications developed in Java or Kotlin..
We recommend that these languages are used to ensure that it works and to ensure the ease of integration with Cielo LIO. At LIO V1, the Cielo platform operational system is based on Android 5.1.1 (API Level 23) and available on most of the APIs present on the Android framework. At LIO V2, the Cielo platform operational system is based on Android 6.0 (API Level 23) and available on most of the APIs present on the Android framework. In case you want to consult what APIs are available, access https://developer.android.com/reference/packages.html and select “API Level 22” or “API Level 23” on the left corner of the screen, according to your preference. It is recommended that the developer uses Android 5.1.1 (Lollipop) as the application target version. Thus, it is assured the working of the application on the LIO V1 hardware as well as on LIO V2 hardware. When customizing the Android of Cielo LIO, some features were removed to assure the peroformance and security of the platoform. Google Play Services: All services, APIs and apps from Google were removed from the operational system. Consequently, it won’t be possible to use the libraries that depend on these Google features. Componente Webview: This visual feature was removed with the purpose of ensuring the security on the platform and avoid that, from the installed applications on Cielo LIO, it is possible to access links and external contents. Attention: Cielo does not allow that the application from the client/partner be developed using the WebView feature. This visual feature makes the Cielo LIO platform vulnerable. In case the application is using WebView, it won’t attend the certification parameters and it won’t be made available on Cielo Store. Exclusive Google Services feature, therefore, it won’t be present on Cielo LIO. Description: It’s an API to schedule several kinds of jobs against the structure that will be executed in the process of your application itself. Allowing in each time cycle that the application perform a search in our Backend services. JobScheduler is the most indicated due to battery performance, without mentioning other options that it provides (Example: Job only runs when the smartphone is charging). Exclusive Google Services feature, therefore it won’t be present on Cielo LIO. Description: This class provides access to the location services of the system. These services allow that applications get geographic position periodic updates from the device or start an specific Intention by the application when the device gets inside the proximity of a certain geographic location. Description: An open source mapping platform for customized maps. Our APIs and SDKs are the construction blocks to integrate the location in any mobile or web application. Currently, Cielo LIO does not support applications developed in hybrid platforms, such as, Ionic, Titanium, Xamarin, CronApp and PhoneGap. Cielo Store is the app store from Cielo LIO. It was an environment created for partners, software companies and developers to create their apps, publish and make their apps available on Cielo Store for them to be used by clients that use the Cielo LIO platform. The retailer will be able to access the Cielo Store through Cielo LIO and download the apps that better attend their business model and that have the purpuse of making the management and sales control easier, improve their relationship with the costumers and boost their sales. The developers will be able to access the Dev Console to perform the publishing of their apps and make them available on Cielo Store. Dev Console is an exclusive environment for the developer to perform the upload and the management of applications developed for Cielo LIO. On the Dev Console, the developer is able to view all of his published apps, whether they are own apps or public apps. In this stage, the developer is able to perform tests of his application in a Cielo LIO. In case he needs to correct something, just publish a new version of the application using the Dev Console, and then request the enabling to Dev LIO. Once the tests are finished, the developer sends the application for Certification. In this stage, the Cielo Certification team will take action and validate the functioning flux of the application, mainly on the steps integrated to the payment. As soon as the application is approved on the certification, the developer will be able to promote for production. In case the Public Application in production, it will be available for download on Cielo Store. In case of Own Application, the developer will have to request the distribution to the LIOs that must receive your app. Developers who wish to get a Cielo LIO, can perform the accreditation on Cielo and request the equipment. The procedure can be performed via Cielo website. After getting the Cielo LIO, the developer will have to contact via Developers Portal channel and request the enabling of your LIO to the Dev LIO, filling the required information. An account on the Dev Console is required to perform this request. Our team will perform the required procedures and then, all applications published by the developer that are on Developed status will be able to be downloaded on your Cielo LIO of development. Click here to request the enabling of your LIO to the Dev LIO. The private store was a model created to allow the distribution of own applications developed by the partner. It is required to request the creation of the Private Store so that it is possible to upload an own app on the Dev Console. Click here to request the creation of the Private Store. From the created Private Store, the developer will be able to publish his application on the Dev Console, selecting his private store. The private store is essential for making the distribution of own apps to specific retailers. The purpose of the apps certification is to ensure that all the applications present on Cielo LIO platform, are own or public, and are in agreement to the rules and criteria established by Cielo. APP CREATED_ERROR App with that package name already exists The developer tried to send an application with a package name already existent on the store. Change on the Manifest file, the Package Name of the application. APP APK_PARSER_ERROR The .apk file is mandatory The developer tried to perform the upload of an application and didn’t attach the .apk file Click on the button “Add an APK” and make sure that the right file was chosen. SCREENSHOTS CREATED_WARNING App created, however the screenshots weren’t saved! On the app creation, the Developer sent screenshots where image files have unusual or unknowns extensions. Edit the app and send the image files with known extensions. SCREENSHOTS UPDATED_WARNING App updated, however the the screenshots weren’t saved! On the app editing, the Developer sent the screenshots where the image file has unusual or unknown extensions. Edit the app again and send image files with known extensions. VERSION PROMOTE_ERROR (this scenario only occurs with public apps) It is required a registered CE to promote this version for production. After the application had its certification approved, the Developer tried to promote the app for production, however, still doesn’t have a CE. 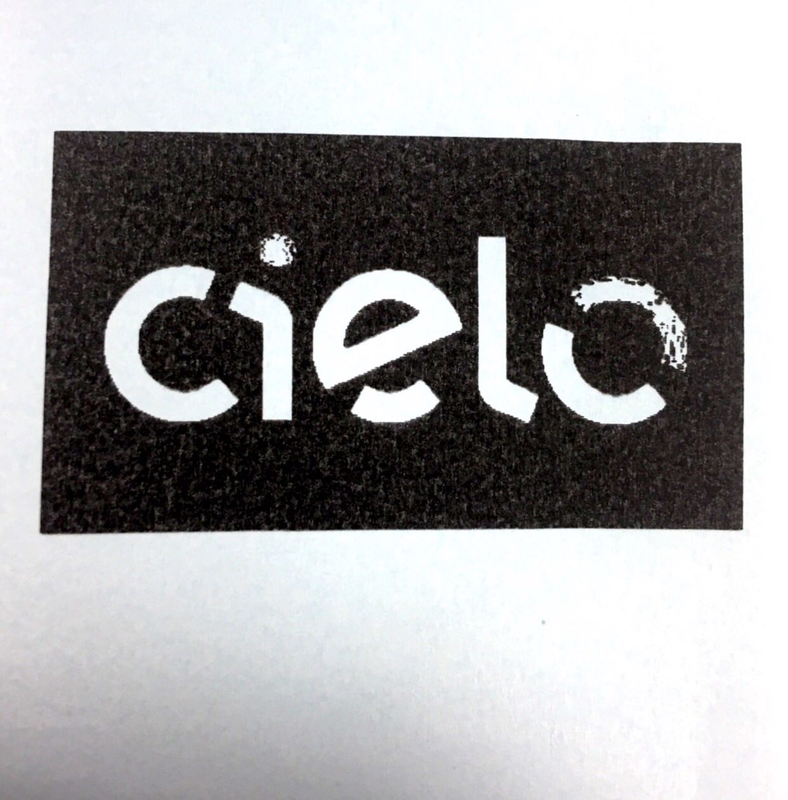 Request Cielo the creation of a CE to be able to promote the application for promotion. In case the developer doesn’t find the error in this table open a ticket to the support team, reporting the problem found and remember to list the evidences of the error with screenshots and error messages received. With Cielo App Data API, the developer of an app will be able to have access to the purchase information of his apps in a given LIO terminal. Click on the Token API tab, and then on the Generate Token button. Once generating the token, copy and save it. Token: Access-token identification, that stores information from the Public App that desires information. ce: Commercial Establishment Identification desired for query. logic_number: LIO Terminal Identification desired for query. Own Apps attend specifically those developers that want to make their apps available only to some specific retailers. The Own App isn’t made available on Cielo Store, nor used by other retailers that haven’t been requested by the developer. To perform the upload of new Own Apps, access the Dev Console and add a new app by selecting the option private store, and afterwards select the private store referring to your company. In case the developer is performing a change or update on the Own App, the developer will have to upload a new version of the app. For that, click in Details of your app and start the procedure to add a new version. Change the “version code” and the “version name” within the manifest file of the application. The Developers that opt for developing Own Apps and distribute only to specifc retailers, must request via Developers Portal channel, informing what CEs numbers (number with 16 digits) and logic from the LIOs must get the app. Click here to request the distribution of your app. 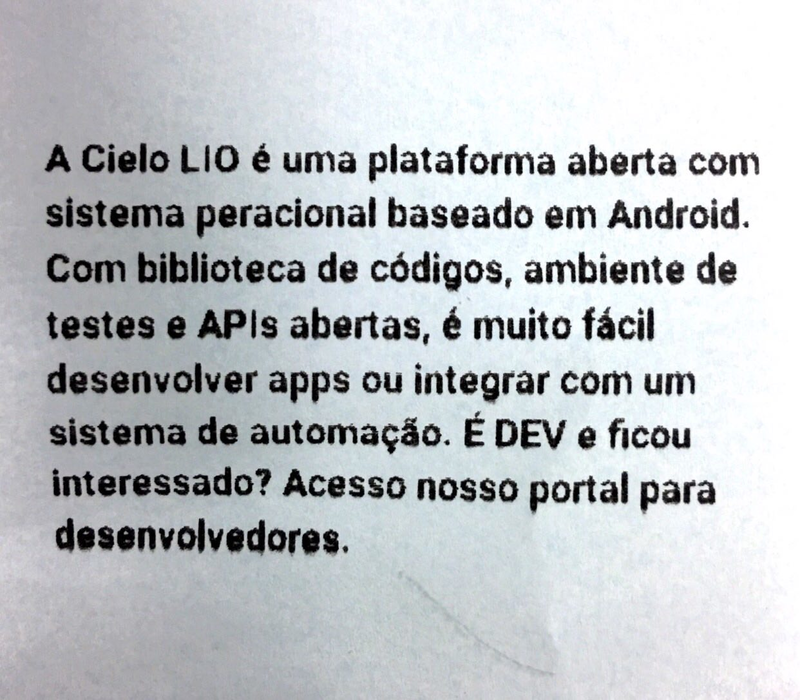 The Public Apps are indicated to the developers and partners that wish to scale and make their apps available, to allow the download in all Cielo LIO equipments distributed on the commercial establishments (retailers) in Brazil via Cielo Store app. To perform the upload of new public apps, access the Dev Console and add a new app by selecting the public store option and after that, select the app file. In case the developer is performing a change or update in a public app, the developer will have to perform the upload of a new app version. For that, click in Details of your app and start the procedure to add a new version. As soon as the public app is certified, the developer will have to promote his app for production and from that moment, the app will be added to the Cielo Store showcase and will be available for download via Cielo LIO. That is, commercial establishments (retailers) will be able to access Cielo Store via Cielo LIO, download your app and then start using.